Williams & Connolly is arguably the most exclusive club in the nation. You basically have to be born at its front door to be admitted to partnership. But the firm just made an exception for Kannon Shanmugam, 35, a former assistant to the U.S. solicitor general and now Williams & Connolly's first lateral partner hire in 22 years. Shanmugam will be joining the firm's litigation and appellate practice October 6. So how did Shanmugam make the cut? "He's rare and exceptional," says Williams & Connolly partner Robert Barnett. "He's been a success at every stage of his career." Among Shanmugam's exhaustive list of achievements: Eight U.S. Supreme Court arguments in the last four years; a clerkship with Justice Antonin Scalia; honors from Harvard Law School and Harvard College (where he entered at the age of 16). 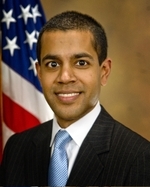 Politically conservative, Shanmugam also was an acolyte of Kenneth Starr at Kirkland & Ellis before he joined the Justice Department. Both Shanmugam and Barnett say that the vetting process was intense. "I met 38 partners in the course of four months," says Shanmugam. During that time, Shanmugam also was interviewing with seven or eight other firms. (He declines to name them.) But at the end of the process, he says, "It was clear that Williams & Connolly was the best fit; it has some of the best young partners in the country." He jokes that he wasn’t even deterred by the firm's Democrat reputation: "They assured me that there are some Republicans at the firm." Now that Shanmugam has broken the firm's no-lateral partner barrier, will Williams & Connolly open the door to other laterals? Don't count on it, says Barnett. Hiring lateral partners, he says, "will remain as rare as it always has been."